Little Elm's current estimated population, as of May 1, 2016, is 34,355. Including active subdivisions in the Extra-Territorial Jurisdiction (ETJ), that figure exceeds 45,000. Little Elm's build-out population is anticipated to be over 90,000. As of the census of 2000, there were 3,646 people, 1,210 households, and 965 families residing in the town. The population of Little Elm grew by 610% between 2000 and 2010, ballooning from 3,646 to 25,898, making the city one of the fastest growing in not only the state of Texas but also the United States. According to city-data.com, the 2011 population was 26,011. As of the census of 2010, there were 25,898 people. According to the census, 69.3% of the population was white, 14.3 was Black or African American, and 3.5% was Asian. Of the total population, 24% was Hispanic or Latino (of any race). Three (3) school districts serve Little Elm: Little Elm ISD, Frisco ISD, and Denton ISD. Generally, the U.S. 380 corridor is served by Denton ISD, the FM 423 corridor and east Little Elm by Frisco ISD, and the rest of Little Elm by Little Elm ISD. The Little Elm Independent School District serves most of the original parts of Little Elm. Little Elm ISD is one of the fastest growing in Denton County. The school district finished building its athletic stadium in 2006 located at the intersection of Hart Road and Eldorado Parkway. 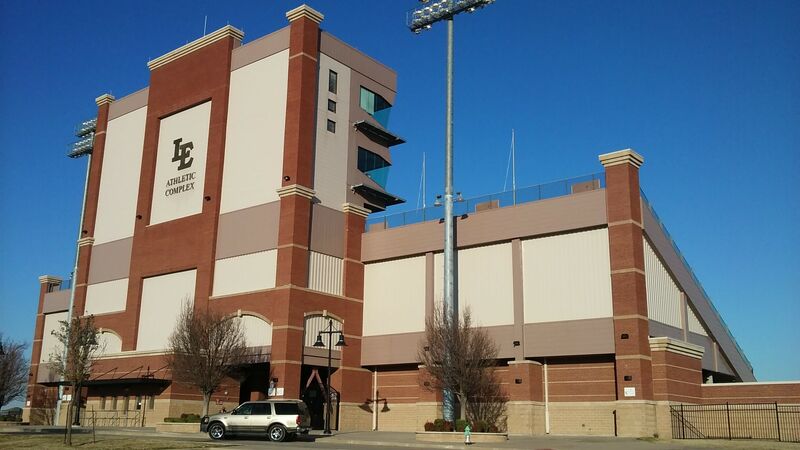 The stadium is also one of the largest in the area, with a seating capacity of 7500 (4500 on home side, 3000 on away side) with great wheelchair accessibility, a 15 foot by 12 foot electronic video board, and a three level state-of-the-art press box. A portion of the city is within the Frisco Independent School District. Denton ISD is currently under construction on its 4th comprehensive high school, located at the southeast corner of Navo Road and U.S. 380, to serve the fast-growing University Drive corridor which is part of Little Elm.